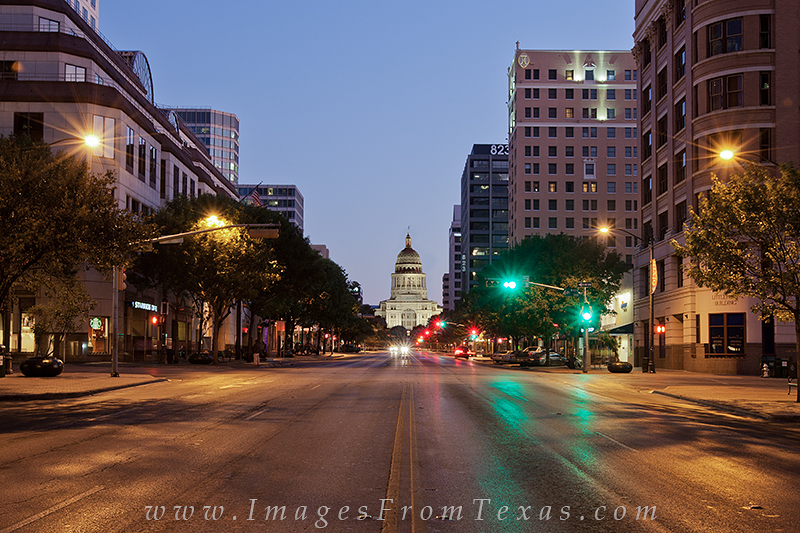 This image of the Texas state capitol comes from Congress Avenue looking north. The capitol building plays a prominent role in the beauty of the Austin skyline. The Capitol of Texas has nearly 400 rooms and sits on more than 200 acres. The grounds are decoraded with statues honoring various aspects of Texas history. It is a great place to take a stroll in the morning or evening. Photo © copyright by Rob Greebon.